one thin and line a pie plate 8″/20cm diameter. neatly on the pastry base. Moisten the uncovered edge with water. filling. Press the edges together, trim, flake and flute the edges. I used Newton Wonder and Discovery apples, white sugar instead of brown and omitted the lemon zest. Although using cooking apples such as Bramleys, would have resulted in a slightly sharper and to my taste better flavour, this was an excellent pie from an incredibly reliable recipe. This entry was posted in 1960s, Barbara Hammond, Cooking Explained and tagged apple, butter, cinnamon, plain flour. Bookmark the permalink. This looks absolutely wonderful. 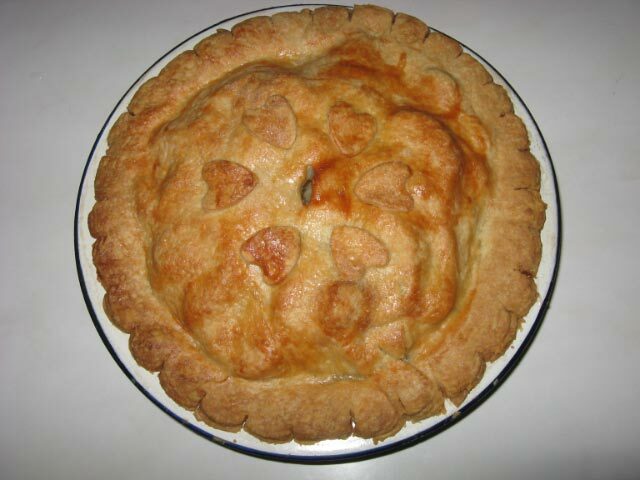 I’ve been looking all over for really good apple pie recipes as winter is now closing in! The cinnamon would add a really nice flavour, looking forward to trying it. In the past I’ve made it with cinnamon and lemon – as per recipe – a winning combination; but cinnamon alone is still great with apple.